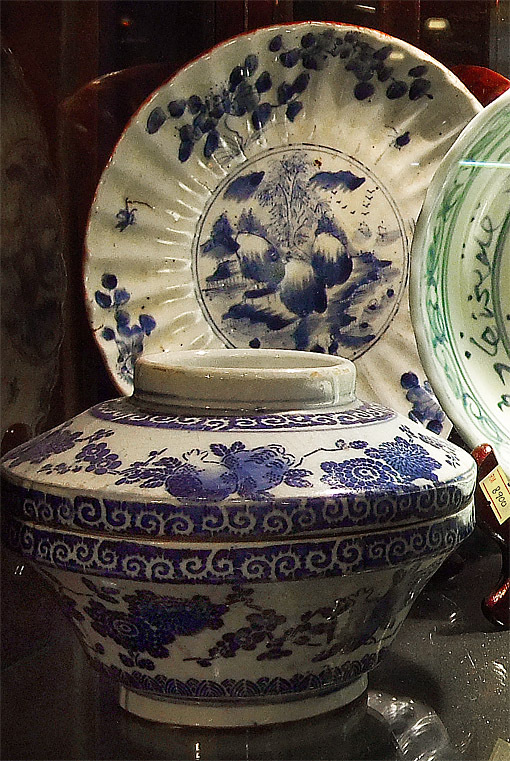 This shop is in KL central market and has fascinating very old white blue plates and other things from sunken vessels. The thing is this are not fakes since that was a partly government sponsored JV operation. 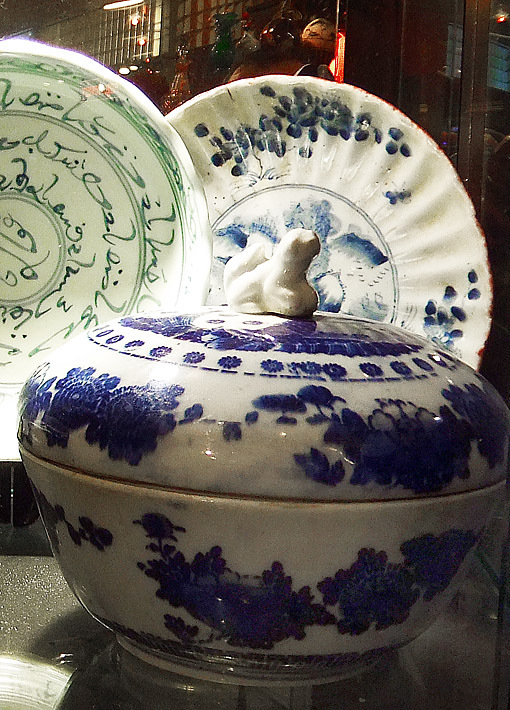 They found the Chinese blue white porcelain off the Malaysian east and west coast. Some of this "pretty things" found a way into this antique shop. They are genuine, no fake the bulk of this sunken treasures is exhibited in the museum. Below at the Central Market in Kuala Lumpur from a sunken vessel off Malaysia. This are genuine pieces from the 14 to 18th Century for amazing reasonable prices. 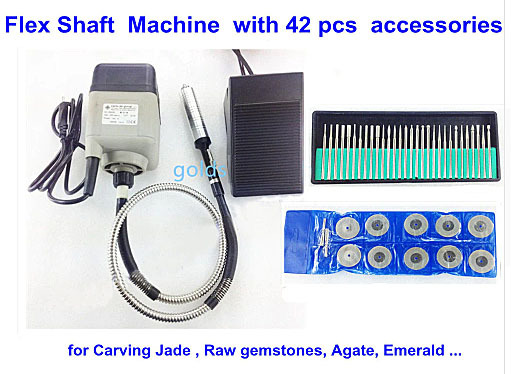 They are genuine and natural brought up from a joint venture of the Malaysian Government and a private "western company". After cleaning the artifacts they have been sold to this shops in the Central Market. Trading long time ago produced plenty of shipwrecks to the east and west of the peninsular. Recovering a treasure ship, here is shown what is happen to get the old vessel. 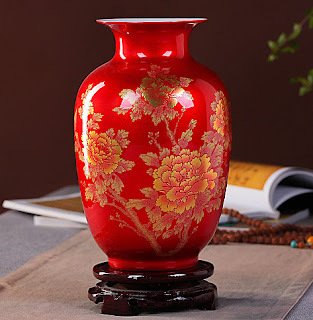 Antique china ceramics started with simple earthenware moved on to celadon during the Sung Dynasty from around 700 – 1300. 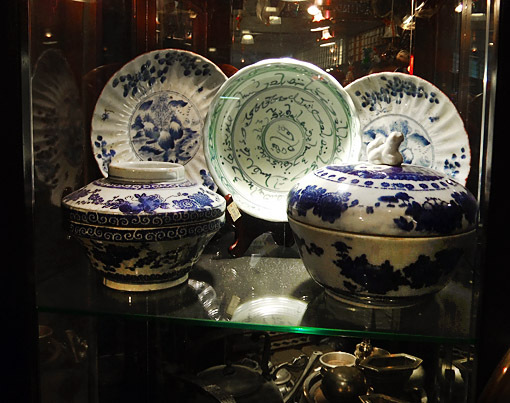 It took to the middle of the 14 century until the blue and white porcelain became one of the main export products of China and as usual with Chinese people they also made sure there are several components covered which is needed for selling the goods. 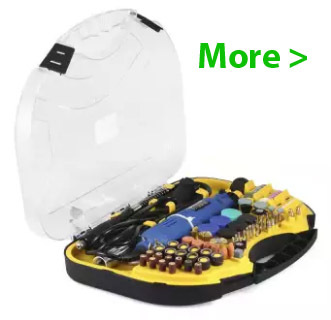 This was a decorative purpose and an everyday use. 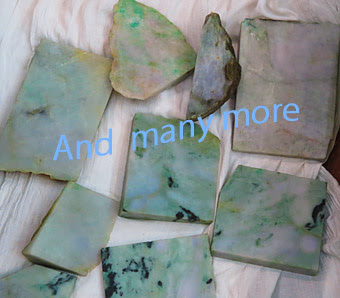 Since then, the blue white ceramics haven’t much changed until today only the motives of the paintings became different and more customer oriented. During the Ming dynasty which began in the middle of the 14th century, and lasted until the 17th century the blue / white business flourished and become one of the highlights of Chinese exports. Porcelain and celadon items even reached already Europe during that time. At that time they already made some custom designs for European rulers. New style Chinese Porcelain Vase. 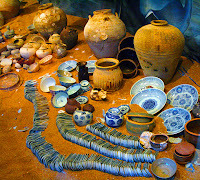 Bowls vases cups and other items were discovered in sunken vessels off the east and west coast of Malaysia in recent decades. Bad for traders of that time but good for today several dozen Chinese Junks carrying the goods sunk in storms and by pirate attacks in the South China Sea. 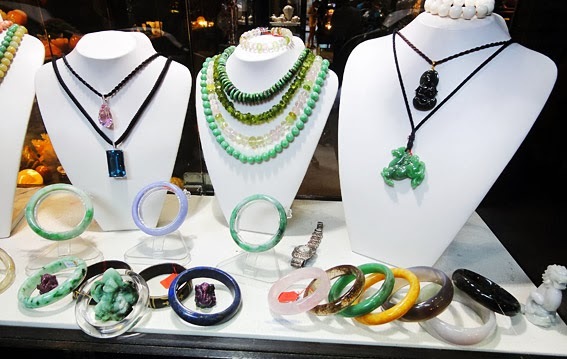 Many were recovered from the seabed when the Malaysian Government teamed up with a European recovery company and brought the treasures into light again.